Almost 20 years ago, the non-profit organization Partnership for a Walkable America sponsored an event known as Walk to School Day. Initially created as a one-day event, the focus of Walk to School Day was to bring awareness to child safety, especially in communities where safe and accessible walking routes were not readily available. Having safer walking routes for children means they are less likely to be involved in a walking-related accident or sustain injuries while walking. The one-day event was successful, and in 2000, the organization introduced International Walk to School Day after the UK and Canada both opted to participate in the event. Increased interest and participation all over the world prompted the organization to designate the entire month of October as International Walk to School Month. In addition to child safety, the organization also focused on the health benefits of walking as a regular form of exercise. In May of 2012, the organization created National Bike to School Day to further promote daily exercise. The event was scheduled in May to coincide with the League of American Bicyclists’ National Bike Month, and it encourages children of all ages to ride their bicycles to school. In Georgia, March 3 is designated as Walk to School Day, with many schools all over the state participating in the event. According to the Georgia Department of Transportation’s Safe Routes to School program, child safety is not the only benefit encouraged by the designated day. 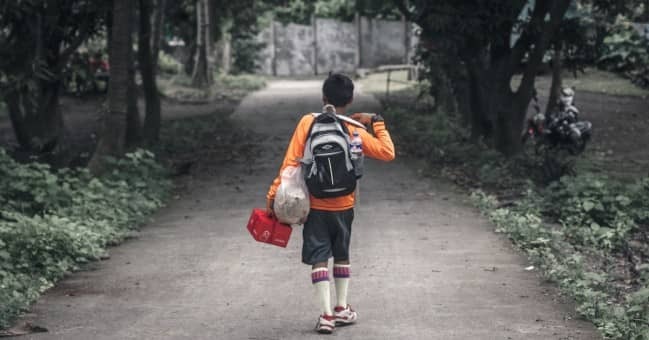 Walking to school also adds extra exercise to a child’s daily routine, and it helps to improve air quality by reducing the amount of vehicles needed to transport children to and from school. Organizers of the event say it’s a fantastic way to promote a healthy lifestyle, as well as teach children vital safety rules, such as never walking anywhere alone, always facing oncoming traffic while walking, wearing reflective clothing or carrying a visibly reflective object, and understanding and obeying traffic signals. Children also learn the importance of not talking to strangers.